Pets are the most loving members of every family. Whether you are more of a dog person or a cat person, you care for your furry friend the most. However, if you wish to change your old house for a new better one, you need to move. Moving tests one’s patience and organization skills. Especially if you are a proud owner of a cat or a dog. Therefore, you will have your pets that might not be so enthusiastic about the change. Nevertheless, everything is possible with a proper preparation, a little bit of patience and a strong will. If you follow this short guide on how to move with pets, you will soon get to enjoy the new house together with your pets. It does not have to be a stressful experience if you prepare on time. The first part of the guide on how to move with pets starts even before moving. When you are still looking for a house, think about your pets. If your dog is used to a big garden, try finding a house with a similar one in size. However, if you wish to live in an apartment, look for a pet-friendly building. The apartment also should be comfortable for your pets. If you are looking for a house, you have other things to think about. One would be the neighborhood. It would be wise to check the neighborhood’s attitude towards pets and their local laws. 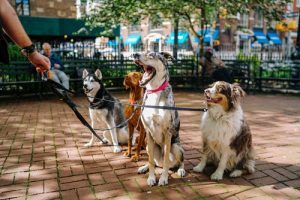 Some neighborhoods have strict rules about certain dog breed that you can check here. Check whether your dog is welcome in the neighborhood. It would be for the best to find the new vet before you move since you do not want to wait until your pet gets injured. The visit to the vet’s office is mandatory before the move. It is an essential part of our guide on how to move with pets. There are several reasons why you should bring your pet to the vets. As the moving day is slowly approaching, you need to pack. Make a moving checklist so you will not forget anything. Depending on a pet, some of them can get extremely anxious. It would be for the best if you or someone else takes them for a walk to avoid an unpleasant situation. Even if your pet is not bothered, you should be careful. First, start packing the rooms where your pet spends the least amount of time. Since your house will be filled with moving boxes, pay attention to your pet. They can easily cause damage to your things or injure themselves or even you by accident. Keep their water and food bowls on their places and you will avoid confusion. Their daily routine must stay the same. That means feeding time, walks, and play time should be at the same time as always. This way, your pet will not feel lonely and you can worry less about them. After the preparations, the moving day has finally come. Finding a reliable moving company near you is important too. Since the people from the moving company will come to your house, you should take care of your pet. If you have cats, the number of people entering the house might be overwhelming for them. They can easily escape as the door will be constantly open. It will be for the best if you close your cat in one room. Put their food, water, and a litter box inside with them and close the window. That way you will be sure not to lose your cat. As for a dog, it would be wise to take them for a walk or to call someone to take care of them. In any case, make sure to tell the people from the moving company to be careful as you have a pet. 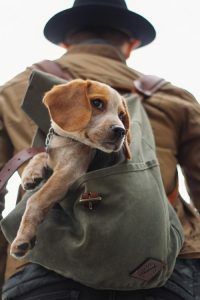 On the day of a travel, take your dog out for a walk. In the morning, give your pet light meal as not to upset their stomach. Your pet should go into the carrier. Do not open the carrier during the travel, as that can be an opportunity for the escape. If you need to travel for a long time, you should make several breaks. It will give you a chance to rest and stretch your legs. 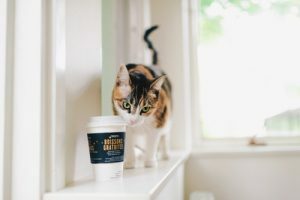 Your pet needs a break from the travel as well. Give them some water and a couple of treats to make them feel better. How to move with pets guide does not end after the move. You still have the introduction to the new house. Since cats do not like to change their territories, you need to give them an opportunity to settle in. Dogs can react differently depending on a breed. Either way, let your pet explore each room slowly. Put their water and food bowls in a visible place. For cats, a litter box should also be on a visible place to avoid any accidents. You should try to restore the old daily routine in your new house. This will be something familiar to your pet and will make them feel more comfortable at your new house. Be patient, and in a couple of days, you get to enjoy the new house with your pet. You can check here how to move without stress. As you can see, all you need is a good preparation and patience. Do not forget to get your pets microchipped in case they get lost. Buy a carrier if you do not already have one so you can safely transport your pet to the new house. When you are packing, pay attention to your pet or have someone to take care of them for a couple of days. The same goes for the moving day. Inform the moving company on time that you have a pet, so they act accordingly. Keep the same routine while packing and after moving. It will reduce the level of stress for your pet and good luck with moving.